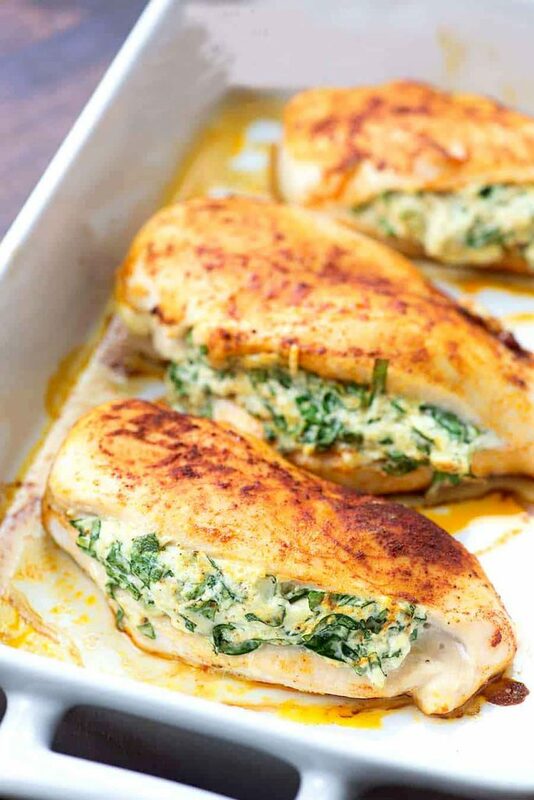 This easy stuffed chicken breast recipe is going to be a new low carb family favorite! 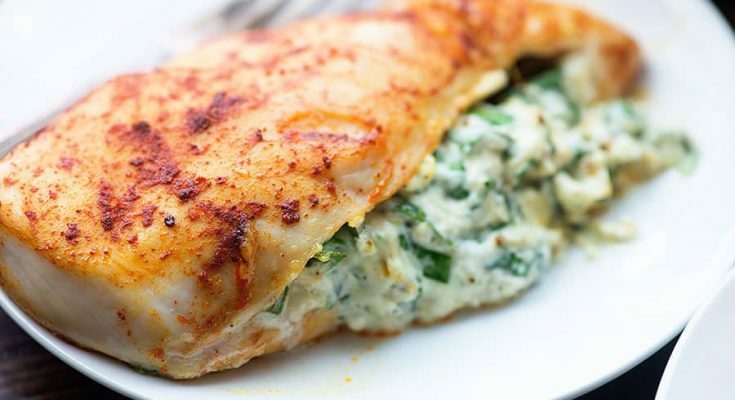 The cream cheese and Parmesan add a ton of flavor to this spinach stuffed chicken and the whole recipe is super quick to prepare. Place the chicken breasts on a cutting board and drizzle with olive. Add the paprika, 1/2 teaspoon salt, garlic powder, and onion powder to a small bowl and stir to combine. Sprinkle evenly over both sides of the chicken. Use a sharp knife to cut a pocket into the side of each chicken breast. Set chicken aside. Add cream cheese, Parmesan, mayonnaise, spinach, garlic, red pepper and remaining ½ teaspoon of salt to a small mixing bowl and stir well to combine. Spoon the spinach mixture into each chicken breast evenly. Place the chicken breasts in a 9×13 baking dish. Bake, uncovered, for 25 minutes or until chicken is cooked through.